If you’re launching a mobile app, you’ve likely considered the differences between optimizing a simple site and a mobile app or game. But have you considered how the measurement and data analysis process will be different? Without a definitive plan and deep understanding of the fundamentals, your mobile app data will get complicated quickly. There are new tools, new terminology, new reports, new rules for efficiency, etc. How many users have downloaded the app in total? How many of those users are active? How do users interact and engage with the app? What features do they use most often? Which do they ignore? Which channel generates the most users? Most valuable users? Are users experiencing an friction? Any technical issues? UX problems? AdWords: Advertise your app on Google search page results and on the Google Display Network (GDN). The GDN is made up of millions of websites, videos and mobile apps. AdMob: Advertise your app in other apps. You can also allow ads in your app to generate additional revenue. Marketplaces: A marketplace is often the destination URL for your ads. It’s where a variety of paid and free apps are available for download. For example, the App Store or Google Play. These marketplaces give you key information about your users, like their referral source, which can help you make smarter marketing decisions. Note that I’m recommending Google products since we’re using Google Analytics throughout this article, but there are many measurement alternatives, like Mixpanel or Localytics. Paid App: This is a one-time fee to download the app. Alternatively, you can allow users to download the app for free and use a freemium model (i.e. upgrades and premium features require users pay a fee). In-App Purchases: You sell goods / services to users after they have downloaded and began using the app. For example, you sell coins in a game or users sell virtual products to other users. Of course, you can also sell physical products in-app. In-App Ads: As mentioned, AdMob allows you to display ads (banners, full-screen displays, etc.) for other apps within your app. Every time your users click an ad in your app, you earn revenue. Use data to determine which is best for you. In the end, it may be a combination of the three. Become the go-to video game retail store. Create an mobile gaming app to promote the brand. 20% increase in 30-Day Active Users by the end of Q3. This will help you define conversions, set up goals, events, etc. later on. Let’s take a popular mobile game, Clash Royale, as an example. The developers can use Google Analytics goals to track when users collect a certain number of cards, upgrade a card, advance to a new level, etc. Those goals are logged and can be assigned values (e.g. a user reaching level 3 is worth $25). Now you need to actually collect data from your app via a software development kit (SDK), which connects to the Google Analytics APIs. Use the Android Studio to help with development. Use the Google Play Services SDK, which gives you access to all of Google’s services, including Google Analytics and Google Play. Make sure your AdMob account is linked to your app in any marketplaces it may be in. After you’ve linked Google Analytics successfully, you’ll see data in the “Analyze” tab of AdMob within 24 hours. If you’re building for the App Store, ensure you have a Mac that’s at least running OS X 10.8 and Xcode, which includes the iOS DSK. You can also use the Google Analytics DSK for iOS on its own. 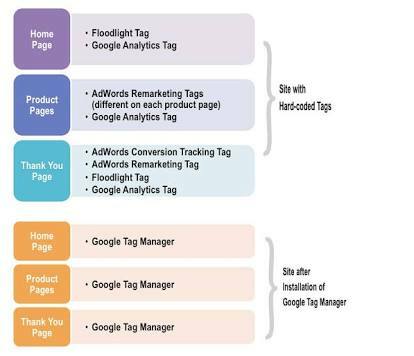 Consider using Google Tag Manager, which will make it 10x easier to add / update tags for tracking. More on this later. Search Ads: Text ads that appear on search engine results pages based on the search term (i.e. AdWords). Display Ads: Banner ads that appear on websites, in videos and within other apps. You can target an audience based on similar content or you can choose specific places to advertise. You can also use display ads for remarketing / retargeting. Social Media: This one’s pretty self-explanatory. You can use social media to promote your app, either organically or paid. This works best when it’s built into your app. For example, allowing users to connect to Facebook, ask for lives from friends, announce achievements, etc. Email Marketing: If you capture your users’ emails, you can use email marketing to retain and re-engage them (e.g. “You have one new friend request” or “You have a gold chest waiting for you”). Alternatively, you can advertise your app in third-party newsletters to reach an extended audience. Marketplaces: While you’ll often be driving third-party traffic to marketplaces, marketplaces are also designed to promote your app. It can be found via search, via popularity ratings, etc. This is why ratings and reviews can be so impactful. Campaigns Report: Shows you which campaigns drive the most revenue. Keywords Report: Shows you which search keywords are most effective. Hour of Day Report: Shows you when you receive the most traffic and when you receive the most valuable traffic. App Marketplace Report: Shows you each of your marketplaces and how they compare. In the event you see “Not Set”, it’s likely that the marketplace does not support App Installer ID, which is used to identify the marketplace. Sources Reports: Show you which traffic sources drive users to your marketplace listing, how long they stay, how much they spend, etc. Google Play Referral Flow Report: Shows how users move through the stages of your acquisition funnel. This will show you where users are falling off, which are high value optimization points. Note: Often, people cannot get this report to function properly. Don’t forget to link Google Analytics to your Google Play Developer Console. New Users Report: Shows you an overview of users that launched your app for the first time, including: total number of new users, operating systems, app versions, countries / territories, etc. You can use Google Analytics to do this. Look at the users who are generating the most revenue for you. What features do they use? How frequently do they use the app? Now look at your low value users. What similarities do they share? What differences? Once you have this figured out, you can convert low value users into high value users by encouraging the behaviors that result in high value users. You can also ensure high value users remain high value users. Finally, you can double down on the marketing efforts that result in high value users. For full information on data segmentation and how to master it for yourself, read How to Setup Google Analytics and Segment Your Data. While the article is not expressly written for mobile apps, it is just as applicable. For the sake of simplicity, get started with “purchase” vs. “non-purchase” segments. How do the two compare? This can help you identify opportunities to increase conversions (e.g. X might be why non-purchasers are not converting or there might be UX issues for users in French-Canadian areas) and make smarter promotion decisions (e.g. X demographic is more likely to convert, so let’s target them in ads). You can dig much deeper, so don’t stop there. What behaviors do my users display? Are they experiencing glitches and crashes? How are they interacting with the app? Overview Report: Shows you a summary of your behavioral data; screen views, crashes, total events, average time on screen, etc. Screens Report: Shows the performance of each screen within your app, including: screen views, unique screen views, average time on screen, percent of users who exit on the screen, etc. Behavior Flow Report: Shows the different paths users take while using your app. Crashes and Exceptions Report: Shows the most popular exceptions within the different versions of your app. Note that crashes are automatically separated from exceptions. You can also define exceptions using your app tracking code to get more data (e.g. device X and OS Y lead to “network failure” exceptions). App Speed User Timings Report: Shows how long requests take to load in-app. This report shows how long it takes for screens to load, how long it takes to return search results, how long it takes users to progress beyond level X / complete in-app tasks, how load times differ based on geographic location, etc. Top Events Report: Shows data on the most commonly triggered events (e.g. downloads, clicking ads). Event Screens Report: Shows which screens users are on when they initiate events. Don’t forget that you can apply segments to your behavioral reports the same way you did with your acquisition reports above. 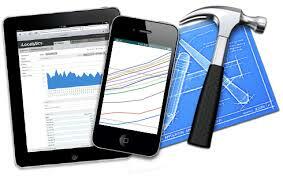 Screen tracking allows you to analyze the various screens within your app. You’ll be able to see which screens are most popular, how long users stay on each screen, how often purchases are made from each screen, how users move from one screen to the next, etc. For best results, use multiple screens instead of displaying all of your interactive content within one. Why? Because if you use a different screen for each level of the game or each section of your app, you can see how far users progress. You can also see where they drop off, which indicates the need for further inspection. There could be a technical issue, which is a low-hanging optimization fruit. There could also be a UX issue. For example, if the percent of users who exit via the in-app store is high, the prices might be too high or the value might be unclear. 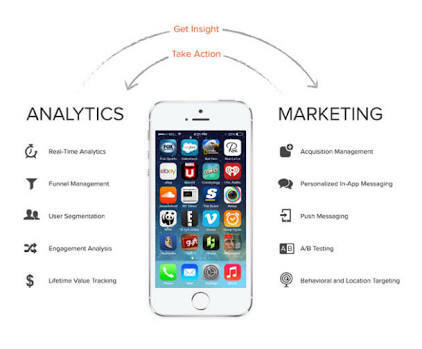 Screen tracking could also indicate where you should place in-app ads. If users are spending a lot of time on and rarely exiting from a screen, it could be a good place for ads. Now, it’s important to note that screen tracking only looks at the “container”. The interactive content within the screen / container can only be measured through event tracking. What is included under the event tracking umbrella? To track events, ensure you have tracking set up within your account and then use four parameters on the elements you wish to track: category, action, label and value. Category: Organize events into groups (e.g. Social Shares). Action: Describe the event (e.g. Twitter). Label: Describe the event further (optional). Be sure you choose to name these parameters strategically. They’ll show up in the Events Report, which was mentioned above. If you don’t name them carefully, your data won’t display in a useful way. Don’t try to track everything. Track only what’s truly important to you… only what can help you make smart optimization decisions. You can set up segments based on event completion as well. For example, segmenting “Users who clicked on offer X” from “Users who didn’t click on offer X” will show you how the offer influenced behavior. Did they spend more after clicking the offer? Did they stay longer? Remember, segments can be applied to all reports. Google Analytics gives you plenty of pre-set dimensions and metrics to analyze. However, there may be some that are unique to your mobile app. In that case, you can use custom dimensions (e.g. Screen Name) and custom metrics (e.g. Average Time on Screen) to track data that’s uniquely important to your app. Using custom dimensions and metrics, you can track users by the highest level they’ve reached or how many in-game coins they collect, for example. This can be useful for behavior analysis and ultimately, engagement / retention. Name of the custom dimension: This is how it will appear in reports. Scope of the custom dimension: This states the data the dimension will be applied to. Name of the custom metric: This is how it will appear in reports. Type of custom metric: Will it be a integer? A monetary value? A time? The minimum and maximum values for the custom metric. Note that you need to ensure both custom dimensions and custom metrics are switched to active. Why Custom Dimensions & Custom Metrics? What can you do with custom dimensions and custom metrics? Two things, primarily. First, you can add them to custom reports. Second, you can build segments using them. Using these new segments, you can further drill down into your data and pull out insights. For more information on custom reports and custom dimensions, I recommend you read How to Get Started with Google Tag Manager (Part 1). You can do by enabling Enhanced Ecommerce. I won’t go into detail about how to set this up because Google does a better job of that than I could. Click here to read about enabling Enhanced Ecommerce. Product Performance Report: Shows sales performance and buying behavior related to each product. Product List Performance Report: Shows how category pages and search results drive sales. Shopping Behavior and Checkout Behavior Reports: Shows you how users view products, abandon products in their carts, complete transactions, etc. You’ll know how much revenue each in-app product generates, when people buy the same product multiple times, which products are falling flat and wasting real estate, etc. Google Tag Manager enables developers to change configuration values in their mobile applications using the Google Tag Manager interface without having to rebuild and resubmit application binaries to app marketplaces. To put it simply, using Google Tag Manager allows you to make basic changes without needing to push a new app update to marketplaces. Why does that matter? Well, according to data from Kaitlin Marvin of Progressive Insurance and Scott Herman of Google Analytics at eMetrics Summit San Francisco, 88-92% of users will update their mobile app in two weeks or not at all. In other words, if you push a new version, if your users don’t update the app to that version within the first two weeks, they likely never will. You can see where pushing a multitude of updates to marketplaces can become risky. “As I said initially, there are tons of benefits to using the GTM SDK in your mobile app, but you need to be aware of these common pitfalls, in order to head off problems before they occur. 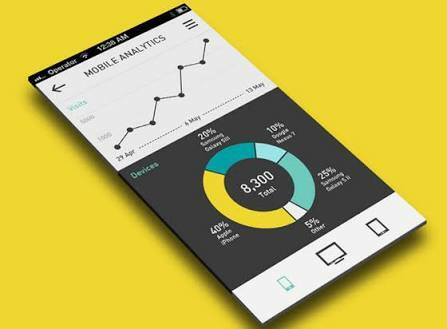 More importantly, you’re ready to launch your mobile app and make smart optimization decisions based on accurate, useful data.